Mia and the Little Gal have long admired Rita Schimpff’s old-world style game mounts, found at her online business, Heritage Game Mounts. 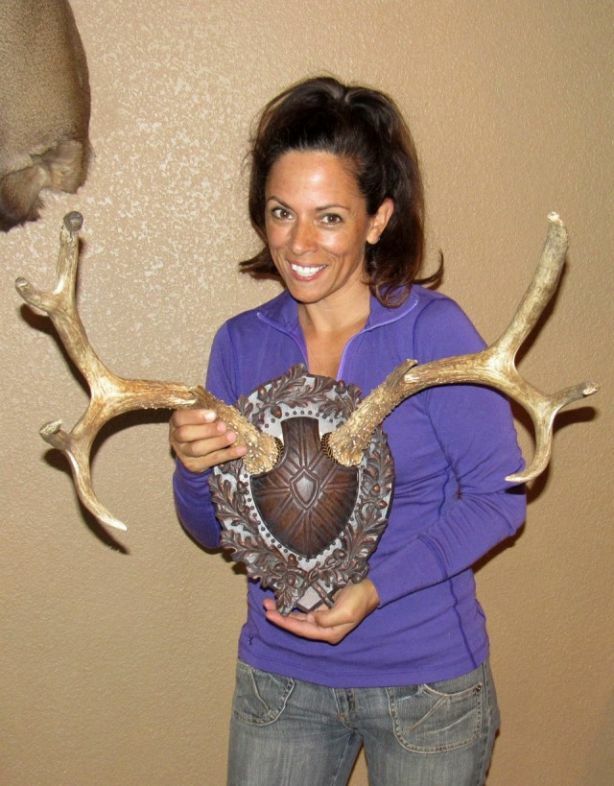 They decided to challenge themselves with this interesting project — a DIY decorative old-world trophy game mount. Find out how it worked out for them. LG and I seized the opportunity to try a game mount we’ve been enamored of for quite some time. 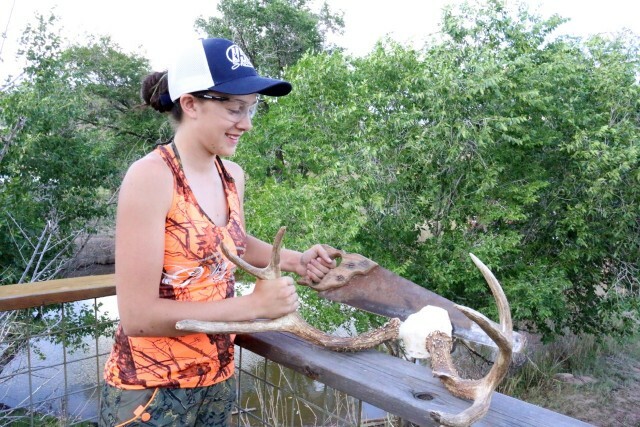 About a year ago, Rita Schimpff, the owner of Heritage Game Mounts, began writing the column “Bringing the Wild Inside” at Women’s Outdoor News. When her articles were published, we admired the beautiful décor she shared. 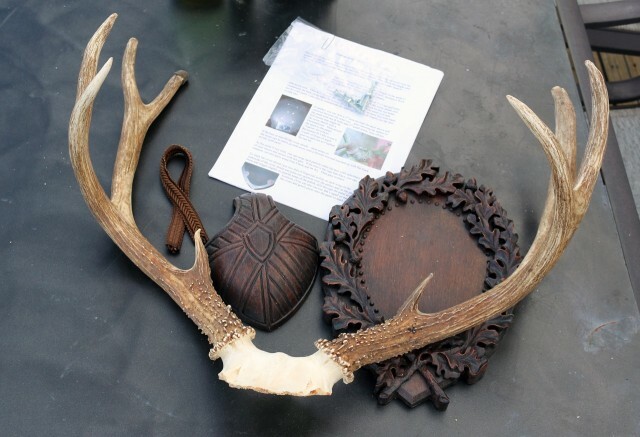 Since we’re of the hunting persuasion, the old world–style plaques she used to display antlers and horns stole our attention. We have many European-style mounts in our home. We are fond of the plain white skull and antler style, but have given thought to blinging some of them up. LG even created one with Swarovski beads, which she donated to an auction/fundraiser for a local preschool. White Euro mounts continued to adorn our walls, and we continued to drool over the various panel mount styles Rita shared. Last winter, while at the SCI convention in Las Vegas, Nev., I met Rita in person. She grew up hunting and fishing, and therefore has a grand respect for wildlife. A graduate of Texas Christian University with a BFA in commercial art and textile design, Rita’s been a part of the interior design field for more than 30 years. You’ll see her knowledge and experience demonstrated through her handiwork on the pages of the Heritage Game Mounts site. In reading her columns here at the WON, I’ve been inspired to create some of my own designs in my home. I asked about the plaques she used in her designs and wondered where she found them. I learn she has them manufactured, right here, in the United States. Due to my curiosity, Rita offered to let me try one. All she asked was that I share my experience with all of you, here at the WON. LG and I received a package in the mail, nicely wrapped to prevent any scraping or scratching. We took inventory of the items inside, and in unusual fashion, read the directions. Rita had suggested having our taxidermist help us, but installation seemed self-explanatory. Plus we needed to give it a whirl so we could let you know if it was a do-it-yourself project or not. Our only difficulty was in choosing which skull we would cut and fasten to the mount. After days, if not weeks, of deliberation, we nominated an old beautiful mule deer and went to work creating our own furniture-style decor. LG helped measure and cut, and I helped cut and measure. It was a bit of teamwork, but overall it was a magnificently easy task. Our advice is to read the directions prior to undertaking construction. It’ll save you a ton of time. (You might guess why we mention this.) We took a couple of trips to and from the hardware store to find fresh drill bits, screw tips and so forth. Not counting driving time, mounting our mule deer to the polymer plaque took less than 2 hours. We found the ideal spot on our wall to hang the artwork. We love the look of the Black Forest oak-leaf-and-acorn style. It fits right in with our eclectic decor. Rita tells us the oak tree is a symbol of great strength and hardness. “Mighty oaks ruled in popularity, followed by linden and walnut,” she says. During Victorian times it showed up on early German coins, crests and military insignia. 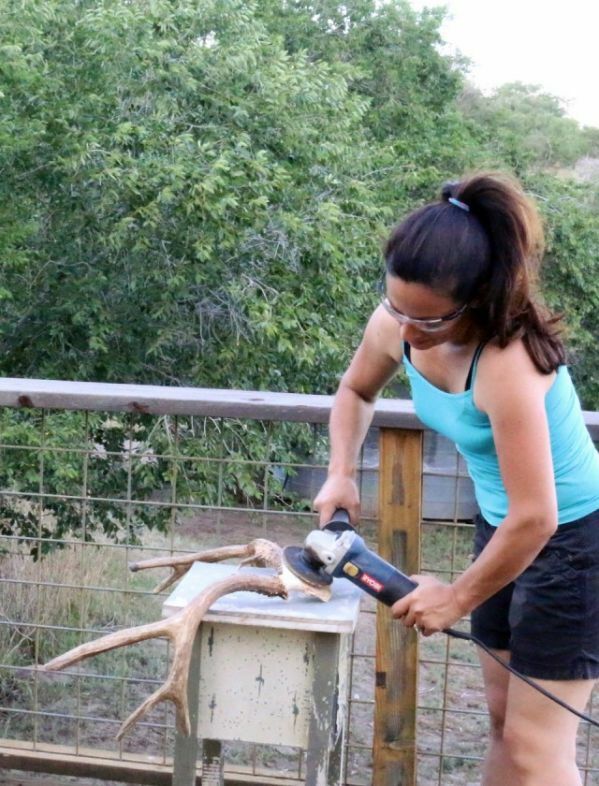 LG and I are pleased with the addition—or rather, transition—of the mule deer antlers. We also love the strength the look exudes among our cherished memories. As an added bonus, the DIY project gave us some bonus mother-daughter time. 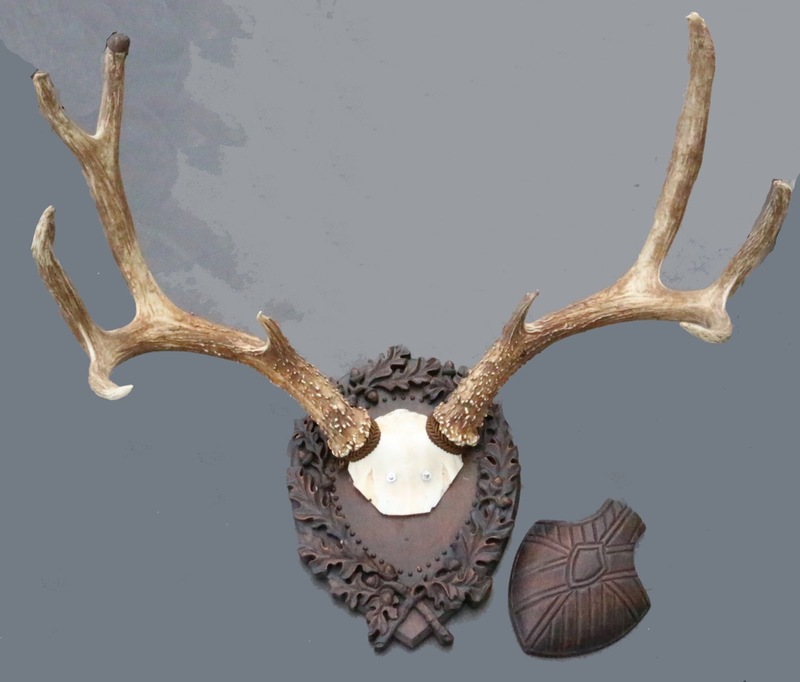 Heritage Game Mounts offers this furniture-style décor available in a variety of designs for all sizes of horns, antlers and game. Hey Mia and LG- you both did a great job! Always fun to see you girls tackle a project and the mule deer was a great selection!